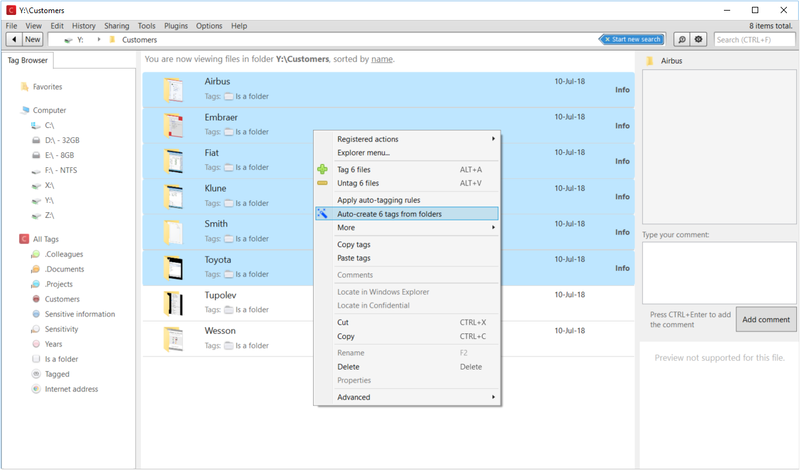 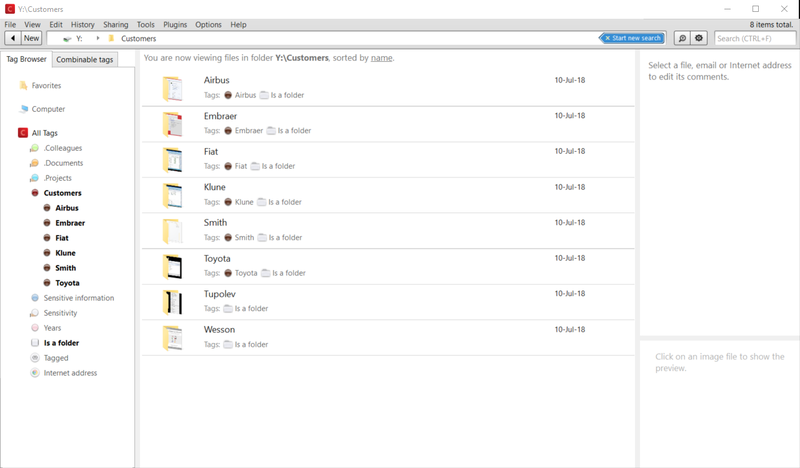 Major new feature in Confidential 1.3.1: using this feature you can select a group of folder, one tag per folder will be created and all the content of each folder will be tag with each correspondent tag. 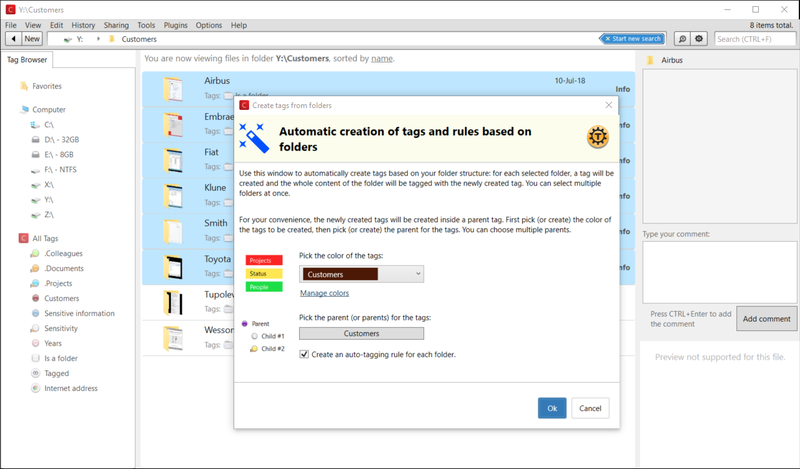 This saves you from the burden of having to create tags manually, for your existing folder structure. 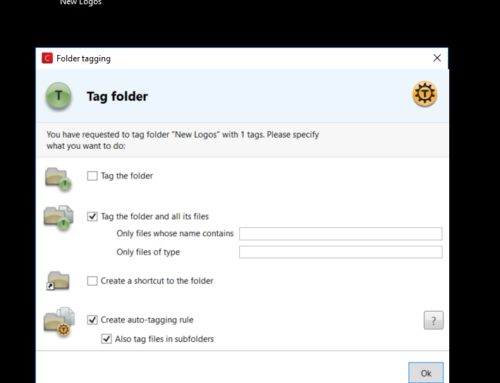 You can optionally also create auto-tagging rules on those folders.